Now, Faulkner lived way back in the first half of the 20th century when things like meaningful moustaches and pipe-smoking were commonplace. Some might claim that he would be thoroughly out of place today. But his writing is relevant even now, and Coláiste an Spioraid Naoimh’s first Flash Fiction Competition for 1st Years has proven that. When we launched this competition, we knew that there was a story in each and every 1st Year, even if they didn’t know it themselves. Our job, on behalf of the moustachioed Faulkner, was to find away to “get it to come out”. And to our delight, the response to the competition was overwhelming. We received over two dozen excellent submissions in total, all of an exceptionally high quality, across a wonderfully wide range of themes and genres from clowns to inept house burglars, from malicious Weetabix to stranded children. It was a joy and a privilege to read them all, and a great challenge to decide on the three best. To begin with the 3rd place story, Emily in Time – this is a brief summary of what made me like it so much, and I have hopefully identified elements that you might like to include in your own stories in the future to make them that little bit better. Very good opening line(s). This causes the reader to pose questions immediately, and hooks them to read on in case they find out more about why exactly the author’s mum sent him to his room, what exactly she had said, etc. A great first line can sometimes hold a reader to the very end. Good build-up of tension and a nicely ambiguous twist-ending. “I walked to the door and opened it… I looked out… Instead of my boring corridor I was on the verge of a rugged cliff” – this is more teasing to the reader than simply saying “I opened the door and found myself on the verge of a rugged cliff”. By dragging this part out, suspense is created, and readers love suspense. They also hate it, but they love to hate it, I suppose. It’s one of those tingly feelings that you really don’t enjoy but that you also never want to end. Overall this story had a relatively simple, quiet idea – none of the wonderful zaniness of “Stranded” and none of the hectic speed of “Pursuit”, but still quite effective in its own way. Very little happened in the story, actually, but the author concentrated on suspense and surprise instead, which can sometimes be even more effective than constant action. For the 2nd place story, Pursuit, I have done the same. This one too is something of a masterclass in building tension. A writer could learn a lot from the short snappy sentences and the sparse use of conjunctions (and; but; however; etc). The author clearly knows what he’s doing, and can build speed and suspense effortlessly. Good description. Phrases like “inky darkness” and “my world flipped upside down” are excellently quirky and attention-grabbing ways of expressing basic ideas. Descriptive expressions like this help to set the story apart from those that simply say “it was very, very black” or “everything looked weird”. The ambiguity of the ending is wonderfully torturous. The reader isn’t told what “the object” is, we don’t really have a clue what has happened – but isn’t it just genius to leave us wondering? Unique voice and style. Very engaging and memorable. This sets it apart from everything else immediately, which is what so many authors out there in the real world fail to achieve. The plot can be rubbish, the characters can be essentially cardboard, the setting can be bland as a cream cracker, but these things can be changed – all that is permanent is the writer’s own voice. 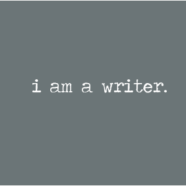 The reader and the writer are both stuck with that. So it needs to be rather good. Clever twist at the end. If it weren’t for the capital letters that drew my gaze instantly, I wouldn’t have seen it coming. A good flash fiction – or indeed any good type of story – often pulls the rug, or in some cases the whole floor, out from under the reader’s feet, which adds a very enjoyable thrill to the whole experience and makes the reader admire your work. Good, clever and believable humour throughout. It is a fundamental law of the universe that a story should be in some way enjoyable to read, otherwise it’s a school textbook – what’s the point? Humour helps you to have fun while you read, and fun is what life is all about. Brave fourth-wall-breaking. The “fourth wall” is a concept in literature and film that represents the invisible barrier between the characters in the story and the real people in the audience. In some cases, this is literally the invisible “fourth wall” of a stage. Usually, characters are obedient enough to stay on the stage and not talk directly to the real people who are watching them – but when this does happen, it is called “breaking the fourth wall”, and it can sometimes be extremely effective. In the case of this winning flash fiction, it helps the reader to connect to the story and relate to the main character, adds to the uniqueness of the voice, and creates opportunities for funnies. So that’s just an outline of what I enjoyed most about each of those stories, and an accurate enough overview of what critics, judges and of course readers are looking for in a piece of writing. I wouldn’t expect anyone to take every piece of advice that I’ve given above. You need to think about what type of story you want to write and then, only if you want to, you can take the tips that suit your story best. Ultimately, though, writing is art, and the great thing about art is that it’s all about doing what you want to do, and letting nobody stop you from doing it. To the three talented winners I would like to say congratulations once again for bringing such fantastic stories to my desk, and to all of the other entrants I would also like to give a massive congratulations for doing your very best and doing yourselves proud. To the winners – keep writing, you have amazing potential and I am certain that one day you will go far. To those who did not win this time – also keep writing, you too have great potential, and your day will come. Above all else, don’t turn away from writing if you didn’t win on this occasion – now is the time to take what you have learned from this experience and put it to use in new stories, and to keep perfecting your technique. Remember that you’ve already taken the biggest step, jumped the highest fence – you’ve written one thing already. As William Faulkner would say, you’ve got one story out of yourself. Writing is no longer mysterious or magical or impossible. Anyone can write if they want to write. And we would hope that this competition has shown some of you, even one single person, that writing can be fun after all. Lots and lots of fun.